The Old Mini Georgian Plaster Coving is hand made in Yorkshire using real British Gypsum plaster. We use specialist couriers to deliver Plaster Coving, therefore we have a minimum order of 20 metres or 65 feet. The Old Mini Georgian Plaster Coving is a simple and stylish plaster coving scaled down for the modern home. This plain plaster coving features a concave ogee with a traditional frame. 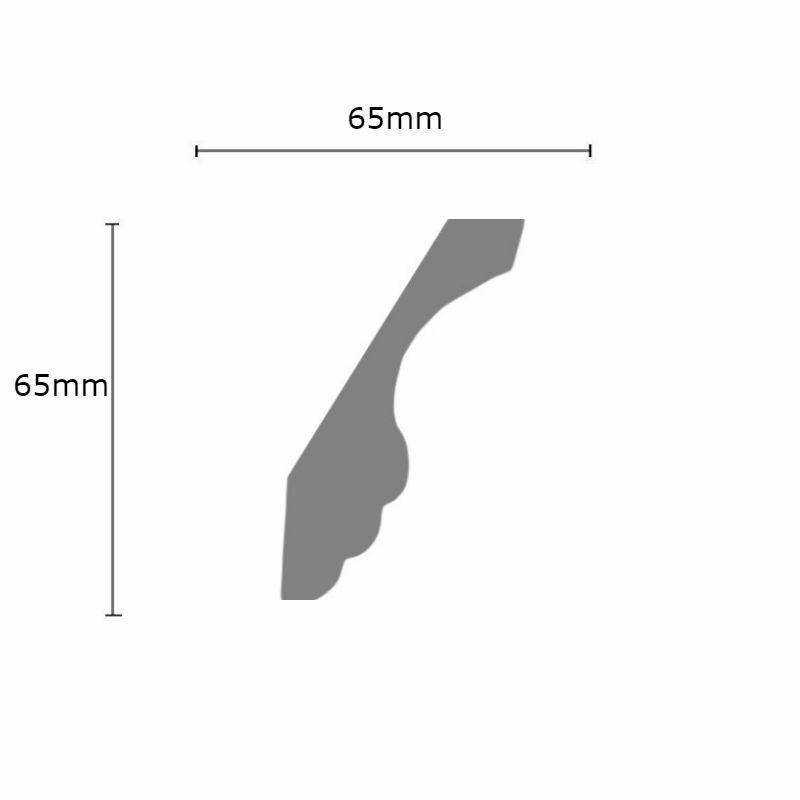 This coving has a projection of 65mm (2½ inches) and a drop of 65mm (2½ inches). Plaster is sold in Metres. Select the unit of measurement before you add these items to your basket. Samples are £5.00.